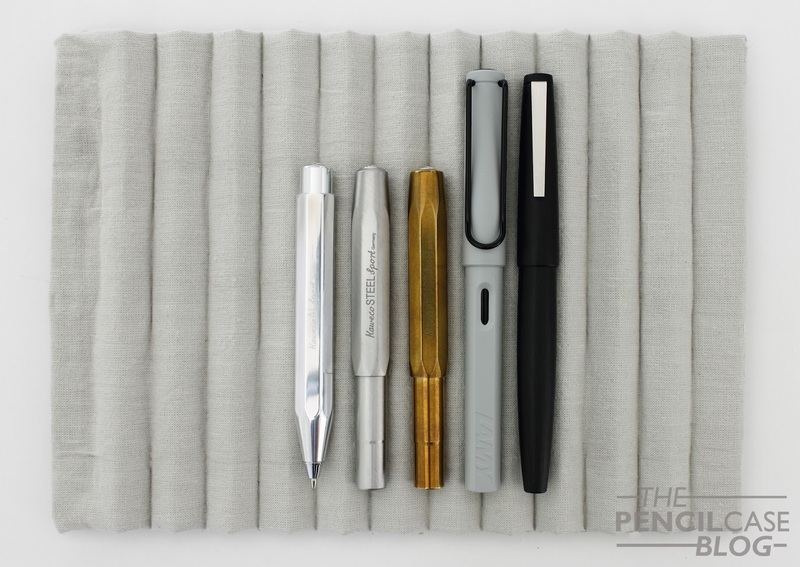 Ah yes: a new year, a new Kaweco Sport review! 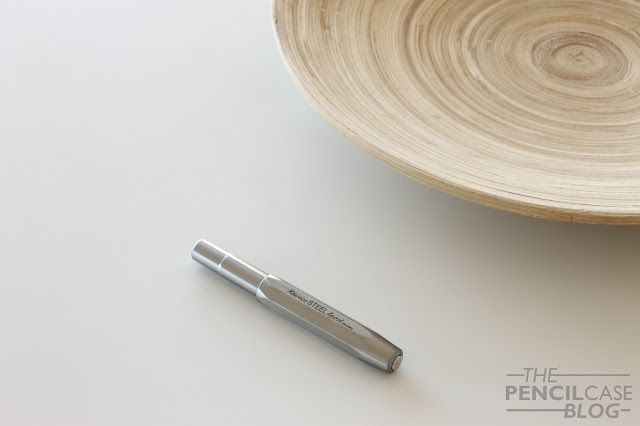 Kaweco has made a habit of releasing a new metal version of their classic pen each year, and the latest metal in the line-up of Kaweco's ever-growing collection of Sport pens is stainless steel. Since I'm so terribly late with this review of last year's release (Yeah, it's 2018 already! Anyone else who still thinks it's 2017? ), I'm already waiting for what is up next. I really hope they'll go for a copper Kaweco Sport this year. Anyway, I thought it would still be relevant to talk about the Steel Sport, since it's something a little different to the Brass Sport that came before it (that I still enjoy very much). 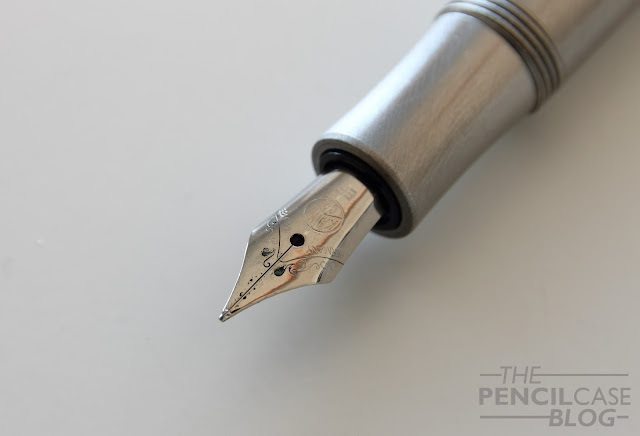 My thanks to Kaweco for sending one over for this review! 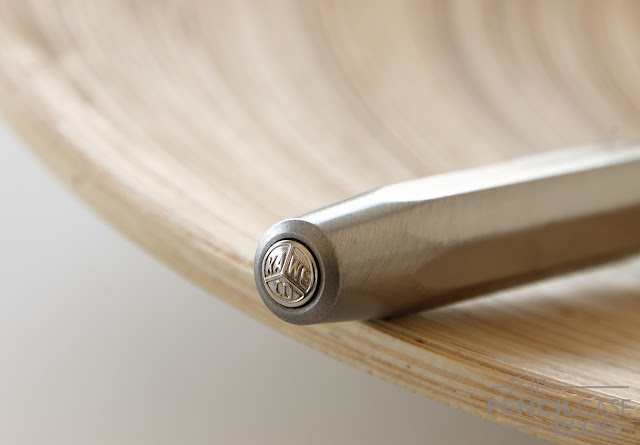 Stainless steel is relatively similar to brass when it comes to density (just slightly lighter), so it's somewhat comparable to the Brass Sport in terms of weight (total weight of 40g). But most importantly, it lacks the smell that so many people absolutely hate. It's the best of both worlds for the most part, but I do miss the awesome patina that brass gets after use. Instead of patina, the Steel Sport received a brushed finish to give the cold grey surface some visual texture. I quite like how this makes it stand out from the wide variety of other finishes that is available on the Kaweco Sport. 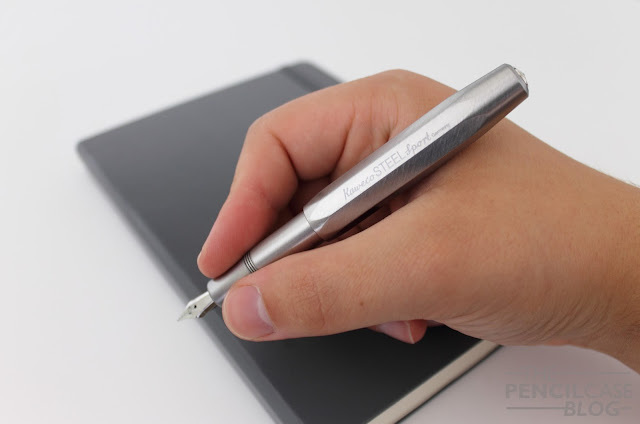 It gives the pen a pleasant texture in the hand, and it provides a nice satin look. 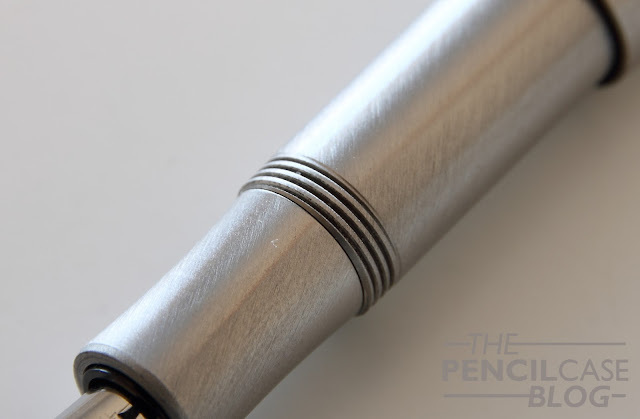 The threads seem to have received a black finish that contrasts the rest of the pen quite nicely. I don't know if this is a side-effect of the machining of steel, or if it's finished like this on purpose, but either way I think it looks quite good. In terms of size and dimensions, I realised I always drag on and on about the convenient size. Yet I never actually showed a good comparison of how the Kaweco Sport compares to some other pens when posted. So in the two photos above you can clearly see how it relates to the Lamy Safari and Lamy 2000 (both what I would consider full sized pens). When posted, it's somewhere in between the Safari and 2000, at 12.7 cm (5"), which is the perfect size for my hands. 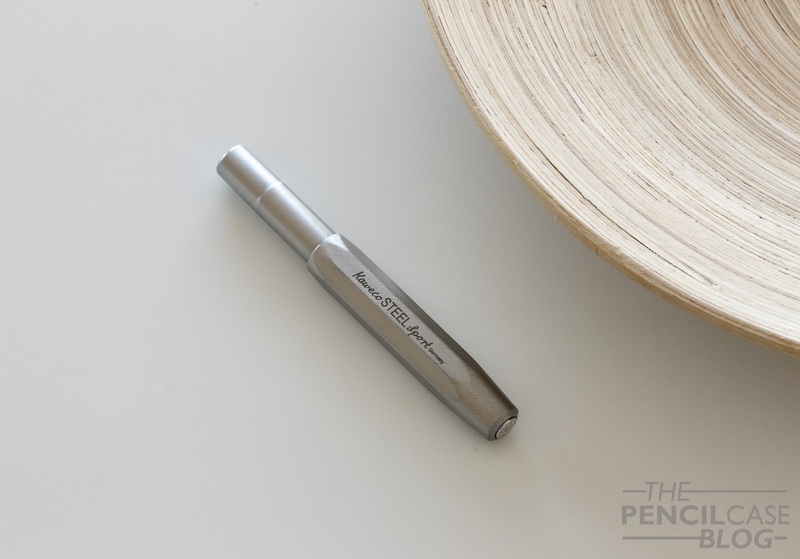 One thing I noticed in use, is that the cap does not post as securely as my other Kaweco Sport pens. Each metal has different characteristics that can cause differences in the machining process. So I assume the tolerances might be a bit different with this one. A firm push is needed to post the cap, and even then it occasionally pops off. Since I tried and reviewed most Kaweco nib sizes so far, I opted for one that's usually out of my comfort zone: the extra fine. What nib I prefer depends strongly on my mood and what I am using it for, but this EF actually finds a good use in my daily carry. It's a smooth nib (considering the line width, of course it's not as smooth as a BB! ), and it writes a consistent fine line. I like to use it for taking notes on crappy copy paper, which is unfortunately very common when you're a student. Again I didn't notice any 'shoddy QC' with this nib. It's sort of a bad rep Kaweco has always suffered from, yet in my opinion it's not quite justified. Of course you can always come across a dud (which can happen with every brand), but in general I have always found Kaweco's nibs quite good. They might not be the most exciting steel nibs ever, but they rarely don't do what they are supposed to do. Ink choice is a VERY important aspect of how a nib behaves, so I generally like to keep my Kawecos filled with something a bit more lubricated or wet (My personal favorites being Sailor or KWZ). 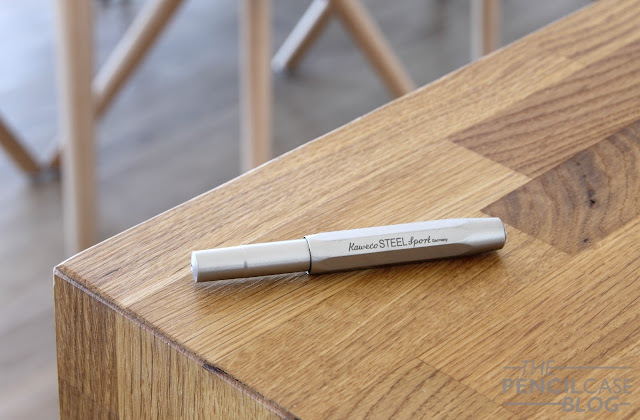 The succes story of the Kaweco Sport continues with the addition of steel to the ridiculously varied offering of metals and other materials to choose from. Each material has a slightly different price, based on the cost of the material itself and production process. Unfortunately, the Steel Sport is the most expensive as of yet (excluding the AC Sport which is a bit of a special case). I suppose that's partially because it's harder to machine compared to brass or aluminium. With a price of 85 EUR (from Mostwanted Pens) or 88.5 USD on the US market, it's not exactly cheap for a pocket pen. The Classic Sport, made of plastic, is a more ideal entry-level, and the step up to an aluminium AL Sport is a bit easier to digest (at 57.5 EUR incl. VAT on the european market). The Brass or Steel Sport, and even the AC Sport, are more aimed at those that want to expand the collection, or try something different. 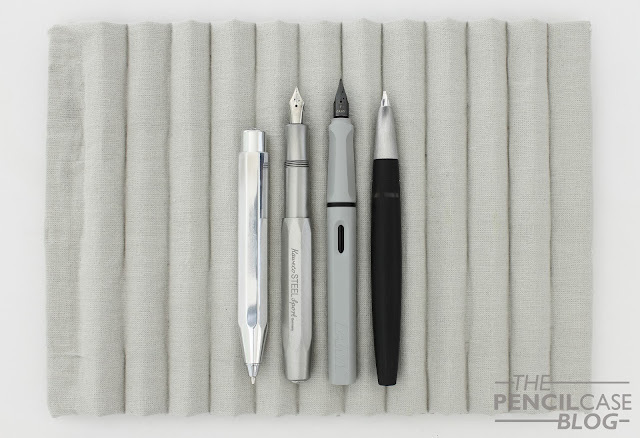 Note: This product was provided by Kaweco, free of charge, so I could write this review. I was in no way influenced in the making of this review, the opinions shared in this review are completely my own! This post does not contain affilate links.